# I've replaced the banner requesting donations for Darralyn with a 'Donations' section to the sidebar on the left of the site. Listed are the appeal to help Darralyn and the boat shed project. If there are any other fund raising efforts let me know and I'll add them to the list. I'll continue updating Darralyn's progress as I get notified of it and any assistance you can offer is still very much appreciated I'm sure. # I scanned in some photo's of Pitcairn Island, and Pitcairn Island residents, from a photo album I borrowed from my Mum. Included are pictures of Roy Clark, Elvina Coffin, Hyacinth Coffin, Blake Coffin, and Lillian Coffin as well as pictures of the post office, school, and various Pitcairn leaf designs. In short, lots of stuff. You can browse the 32 pictures here. Click on the images for a larger version. If anyone has other pictures I'd be very interested in seeing them. 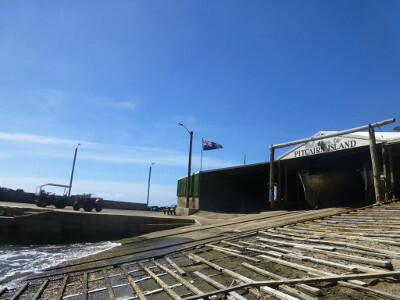 # Plans afoot to improve conditions on Pitcairn Island. A series of projects is being planned to put the island back into profit within three years, according to Pitcairn Commissioner, Leslie Jacques. # Assessing the Status of the Pitcairn Island Flora. A very technical document, link from Friends Of Pitcairn. Remote Pitcairn Island has a depauperate, but none the less interesting vascular plant flora. The floristic relationships are with the rest of Polynesia to the west, with some representation of southern and eastern Polynesian elements. A recent survey of the island produced at least eight new records and two possibly undescribed species; the total indigenous vascular flora numbers some 80 taxa of which ten are thought to be endemic. # Satellite images of Oeno Island. 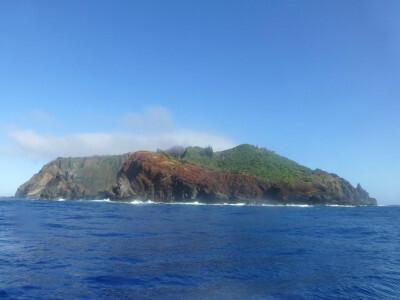 Oeno is one of the islands in the Pitcairn group. Link from Friends Of Pitcairn. # Stamps commemorating eclipse. A description of the to-be-released Pitcairn Island stamps commemorating the solar eclipse that is to occur on the 8th April 2005.